The Kestrel knife from Microtech has been revived as a 2011 model. 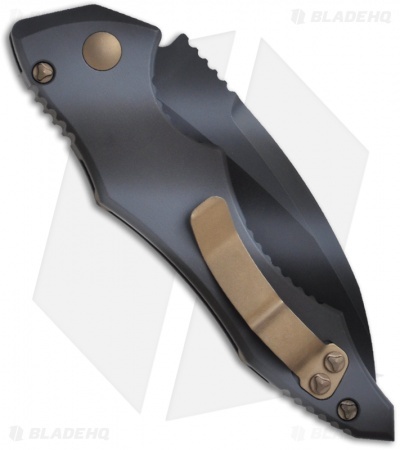 This automatic knife features a tan camo finished blade and handle with bronze colored hardware and pocket clip. The blade is S35-VN stainless steel with a plain cutting edge. 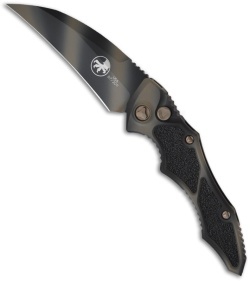 The aluminum handle has textured grip inserts on front. The frame is tapered front to back with an open build and barrel spacers.